The 2013 Best Websites for Teaching and Learning foster the qualities of innovation, creativity, active participation, and collaboration. They are free, Web-based sites that are user friendly and encourage a community of learners to explore and discover. 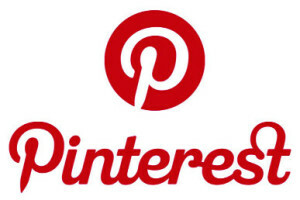 Create connections, encourage collaboration, ignite discussions, or simply share mutual interests through Pinterest. Uploaded or “pin” images and videos from websites, blogs, or your own computer, smartphone, or tablet to create boards. These boards can be private or public, and others can be invited to pin on any of your boards. Any “pin” can be “repinned”, and all pins will link back to their source. Grades 6-12. Tip: Have students work in groups to create research projects and share their sources visually. Flipsnack is an application used to convert PDF files into a flipping book that is easy to use. Simply upload a PDF file, customize the book, and share. The online flip books are designed to resemble regular print books. You can choose a classic, hardcover, coil, or interactive flip format for your book, as well as a book size. Color options for the cover and background are also offered. Finished flip books can be published privately or publicly and edited at any time. The final flip book is attractive and professional-looking. Books can be shared on Facebook and Twitter or emailed and embedded with a watermark. Grades K-12. Tip: Students can combine reports or creative writing with pictures and graphics to create flip books that can be shared with parents. Youngzine is a child-centered website that provides articles, images, and videos about world news, science and technology, society and arts, movies, and books. School-age children are encouraged to respond to the content and may submit articles, short stories and book reviews. All content is reviewed by Youngzine’s editors and updated every two weeks. Grades K-8. Tip: Do you and your students discuss current events? Use Youngzine as a springboard for these weekly or daily discussions. Students can post comments and reflections in the comments section. Edudemic is more than just an educational technology website. For students and teachers it’s a one-stop-shop for forums, articles, ideas, and resources on everything technology. Edudemic is explorable by topics such as How-To, Tools, or Online Learning. Or browse through the videos collection for amazing examples of teaching and learning. Have a great idea or story to tell? Try submitting a post to Edudemic for a global audience. Grades 6-12. Tip: The All Topics word-cloud allows users to quickly see what’s trending in educational technology. Click through and explore! 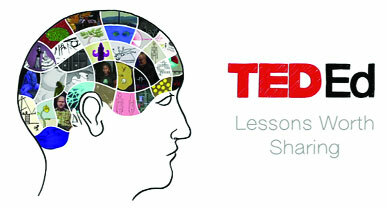 TEDEd allows educators to create and share lessons built around YouTube videos. The embedded lesson creator allows users to 1) FIND video content through an integrated search panel, 2) SELECT a video or lesson to be customized, and 3) FLIP a video by adding questions, notes, and content. The TEDEd library is continually growing and is searchable and browsable by series and subject. Grades K-12. Tip: The best lessons are curated by volunteer teachers and TEDEd and compiled under the Best Flips tab. If you’re looking for teaching inspiration, look no further!